The Wishbone™ is the first quiver engineered from the ground up to function flawlessly on a crossbow. At first glance, it would seem designing and producing a crossbow quiver would be a simple affair. Take an existing compound bow quiver, add a bracket and there you have it. That’s just about as much thought as our competitors have invested. But, at what cost? A quiver is a unique product in the fact that if it performs well, it is almost forgotten but if it performs poorly it can be a source of constant frustration, lost arrows, failed hunt, or a safety concern. The Wishbone™ does everything a crossbow quiver should do, nothing it shouldn’t do and weighs a mere 10oz. To begin with, the Wishbone mounts where a crossbow quiver should mount – to the side – and positioned where balance of the bow is enhanced. Not out front where the bow is front heavy already. Front mounted quivers block the shooters leg from completely placing the foot safely into the cocking stirrup. Not a good situation! 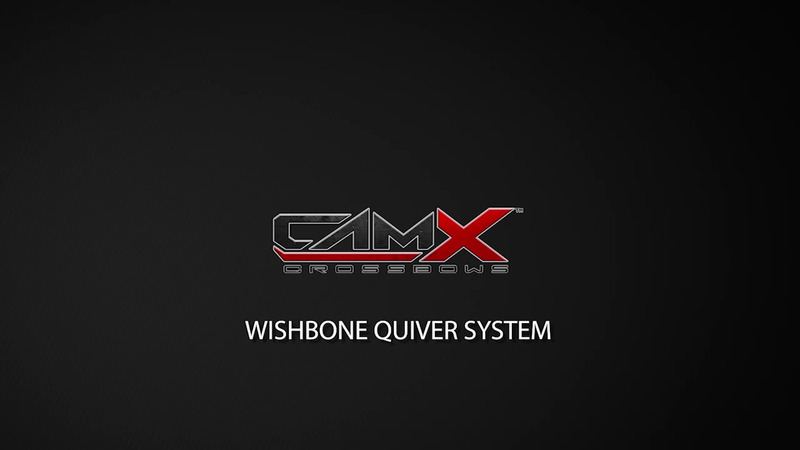 The Wishbone™ Quiver was designed to do exactly what a crossbow quiver should do. It is precisely positioned to give the crossbow the perfect balance. It also utilized two rows of arrow grippers instead oft the traditional one, holding arrows firmly and eliminating any rattle. Also, the duel arrow grippers eliminate the need for broadhead dulling foam in the broadhead cup. The Wishbone™ solidly mounts to the underside of the barrel with a single captured locking bolt and knob but detaches easily for transportation. Its uniquely designed arm is virtually indestructible, virtually weightless and is vibration free. The Wishbone is shipped in right hand orientation but easily converts to left hand mounting if desired.